Last week we checked out what 3D looks like when painting on the streetpavements. 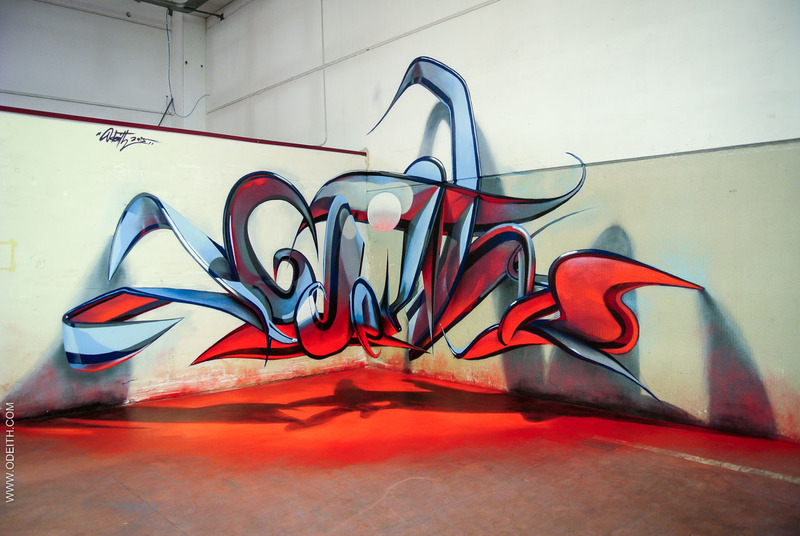 Though this week we would like to introduce you into a special edition of the do-it-mondays since we will focus on one particular artist who is considered to be the pioneer in «anamorphic graffiti». 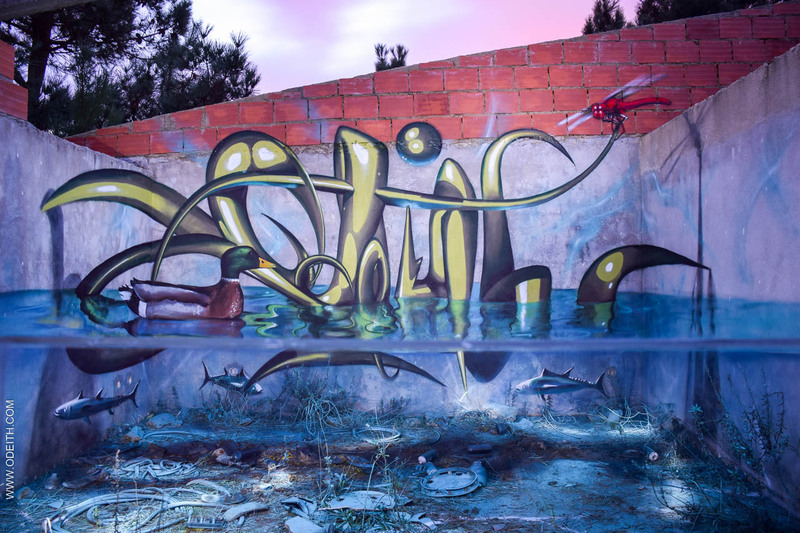 A Portuguese who has his roots in the graffitiworld, conquering traintracks and abandoned factories, from social neighbourhoods to big multinational events, he climbed his way up to all corners of the world with his magnificent murals already since 2005. The optical illusion created with the focus on walls, walls and floors and 90° corners, define his anamorphic images that come to life creating a spectacular realism. Standing in one particular spot, you become part of its overwhelming scenery. 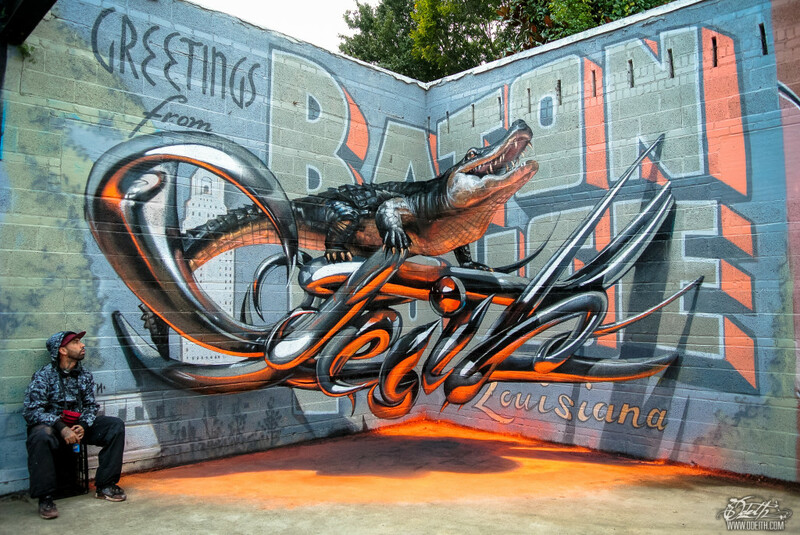 Playing with perspectives and shades, he created his own ambiguous style «sombre 3D». If you managed to admire any of his paintings for real and/or if you managed to try out yourself some imagery in the most bizar corners, share it with us on our (#yesyoucanspray) facebookpage ! 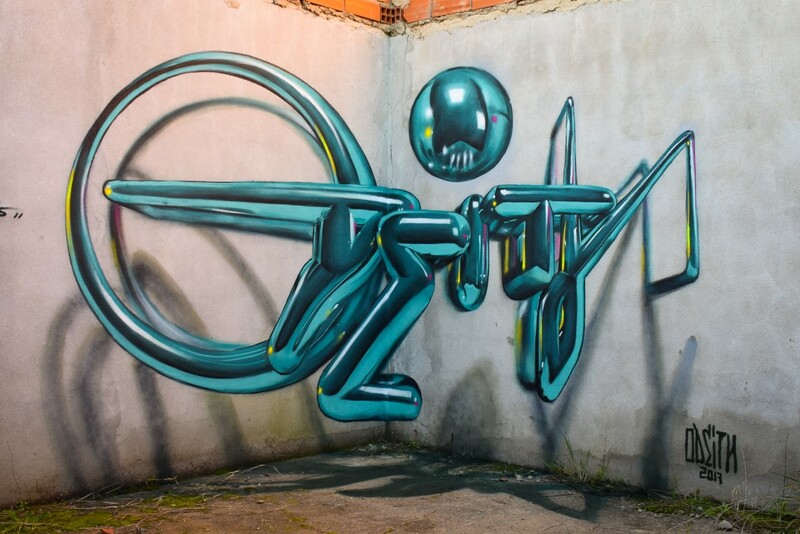 This entry was posted in Blog, Do It Monday and tagged 3D, anamorphic, anamorphosis, art, do it monday, do it yourself, graffiti, graffiti art, odeith, portuguese street art, sprayart, street art, urban art, yesyoucanspray. Bookmark the permalink.